eBay will retire Turbo Lister in Europe next month, an eBay moderator told sellers in the US discussion forums today. However, he said he didn't know how long US sellers would be able to continue to use the desktop listing tool. Nor was he able to tell sellers how much advance notice eBay would provide them before pulling the plug on the tool completely. 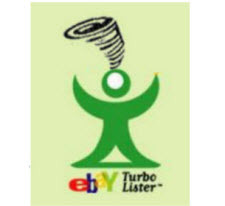 eBay had announced it was going to end support for Turbo Lister in 2017 as it shifted resources to its Seller Hub tool. But it made a promise to sellers it would wait until Seller Hub had all of the Turbo Features sellers relied on before cutting off all support. Turbo Lister allows sellers to manage their listings while offline, handy for those with a slow Internet connection, for those who like to archive their listings, and for those who worry about the possibility of losing data when it is stored in the cloud outside their direct control. Three months ago, sellers said eBay surveyed them to see if they would be willing to pay between $4.99 - $9.99/month for the ability to continue using Turbo Lister. The moderator said today that eBay's Advanced Apps team continues to offer support for Turbo Lister, though that will end when the full retirement of the tool takes place. "The Advanced Apps team can help sellers download Turbo Lister if needed and this is generally used for current users that need to reinstall the program. Since the current plan is to retire the tool, we don't typically recommend sellers start using it now as support will eventually be discontinued." The moderator also said eBay would be making a number of enhancements to Seller Hub "in the next couple of months." Sounds like they found out that sellers don't want to pay them for a program that for most is still very glitchy. I have been using it since it was called Mr Lister and will definitely miss it. I was willing to pay for it but I guess that Ebay would rather punish Sellers in another way by taking a tool that a lot of sellers still use. I wonder if this is their reaction to being given a slap by Elliot about how they need to focus on their marketplace and stop wasting time with non core products. Of course all this is going to do is chase a lot more sellers off of Ebay because Sellers Hub is still a piece of garbage when it comes to using it for anything, but especially as a listing tool. But this is how Ebay always operates, punish those that make the money for them and then complain because the growth is stagnant and they cannot come close to meeting the already low goals they had set for themselves. Once again I don't think Ebay has a clue as to how much revenue this will cost them, especially as Sellers move to other Listing programs which can be utilized for other sites. I already studied what I would change to if i had to make the sudden move, which it sounds like Ebay is going to force on everybody with almost no notice, but with all the other changes that Ebay has made to hurt sellers I and many others have already been finding alternative sites to sell on and now Ebay is less than 40% of my monthly sales, and all because they have done all they can to chase the sellers from their site. I really wish i could be a fly on the wall when the shareholders meeting is held this year, if Wenig even lasts that long. When an investor puts the time and money that Elliott did into analyzing Ebays problems it means they are expecting some big changes and the BOD may actually have to sacrifice Wenig to manage to keep their cushy jobs. I would bet that if Wenig is still around by time this years meeting happens, that Elliott will have enough proxy shares behind them to make some major changes that will be brought up at that meeting. Ebays initial response almost sounded like they have no intentions of listening to Elliott and now that they suddenly are going to dispose of Turbo Lister a couple of days after being told to focus on their core. Seller Hub does not have the ability to function offline nor do i believe they are even close to having it working offline as they still cannot get it to function properly without relisting sold items, over invoicing Sellers, losing all the photos , etc etc. Ebay needs to fix what does not work instead of now having another knee jerk reaction to a Shareholder who is spot on about their ineptitude. Before I even got to the fourth paragraph I was thinking "what is it going to cost sellers?". If they monetize this they could very well ban third party listing sites. They will spin it as "for security reasons" or some other reason that will not be true. Their unbridled greed continues to destroy them. Thankfully they have become quite irrelevant to me. the only changes that needs to happen is better sales. make search work correctly , quit sending buyers off site , and quit putting dozens of other sellers on my damn listings. i guess this is to hard for the so called experts to do. OOHH wait , there are no experts. We get "new" seller "tools" everyday in the numerous technical problems that plague the site whenever one goes to do the most basic task on this disaster of a marketplace. So much software development could be described as incompetent narcissism, expressed by the attitude that "the user will get what they get when they get it." EBay could only wish it was agile enough to spin-down TurboLister from a hostile hedge fund letter threatening a management shakedown sent just 2 days ago. ....but maybe after Elliott finishes giving eBay a Wenig-cleansing corporate enema they will be. Turbolister is the very least of Wenig's worries and on no-one's priority list. Turbolister has been dying on the vine since '17. The more likely scenario is after they conducted the survey a few months ago to get a temperature check to see if they could monetize it, the results came back pretty much in-line as ECB comments reflected. The eBay community TL liaison Brooke hasn't logged on since May of last year and was possibly (likely) caught up on the cost-cutting (layoffs). For the SixBit guys - maybe consider pulling the move Hulu did after Netflix announced price increases and offer a price cut for a chance to seize a nice chunk of the market? eBay management needs to talk to its veteran sellers of 20 years, about where they went WRONG! I'm another one of those sellers that would be willing to pay a small monthly fee for TL. There are many of us out here that would be willing to pay as long as Ebay actually addressed the issues of TL. Those that don't want to pay a small fee to use TL don't have to. There is nothing saying you have to use TL. It would be an option not a requirement. So for those that don't like a fee attached to the program, they simply don't need to use it. Another thing to consider is that there are other programs out there that will do what TL does and even more. But to use those programs cost money as well. Far more than Ebay is currently suggesting they may charge for TL if they keep it around. So for me, I'd be happy with keeping TL and have a small fee along with that as long as the support increases and improvements follow. they may start with a small fee , but after they get enough sellers to sign up , the small fee will become a larger and larger fee. and of course there will be no support increases and no improvements as usual. Maybe yes and maybe no. There is really no telling what Ebay will do. But still, other similar programs cost far more on a monthly basis. "Maybe yes and maybe no. There is really no telling what Ebay will do." If you look at their history, it is quite easy to know what they will do. Charge more and give less. Monetize, monetize, monetize. In the end, what good is paying for a listing tool on a site where listings can't be seen? FIX SEARCH and stop hiding listings. On the other sites that I sell my listings can actually be seen by buyers and that equates to sales. I was clearly talking about the subject in which this particular blog is about, nothing more. You don't know anymore than anyone else here what Ebay will do or when in regards to this specific subject. "You don't know anymore than anyone else here what Ebay will do or when in regards to this specific subject." Neither do you. And that goes for any topic. The bigger concern ought to be that eBay itself doesn't even know what eBay is going to do, despite pretence to the contrary. And that goes for any topic too. eBay has yet to understand the concept of "Value Added" when it comes to customer relations. eBay should by now, after 20 plus years, provide for free all of the listing tools any seller, massive or tiny would need to make using the site easy as pie. One of eBay's top priorities should be helping users get listings on the site as easily as possible. If they did their jobs properly, all of these other listing services would not even exist. They are a direct result of eBay's own incompetence and historic mis-interpretation of their own markets needs. .
"We hope you're enjoying TurboLister." In order to protect you and and to offer you a better selling experience, a 2% fee will be added to all sales originating from TurboLister." "The bigger concern ought to be that eBay itself doesn't even know what eBay is going to do." This is the scary (and unfortunate) reality. At any given moment there could be a eBay dev VP green-lighting maintenance updates, a marketing VP cutting a deck announce the next version of "Turbo Hub", and support VP having CSRs read off a script that it's being 86'ed next month while the Alan and community folks post.... whatever. Then Bobby K VP "seller operations" or the newest revolving door VP of "seller experience" Harry Temkin (wherever that guy is these days) could have a podcast announcing they've listened to sellers and have decided to keep Turbo Lister. Nobody knows what it is going to do, *especially* not eBay.